This GigaTent Dual Identity 10′ x 10′ Shelter is a useful item for camping, tailgating parties, family reunions and more. 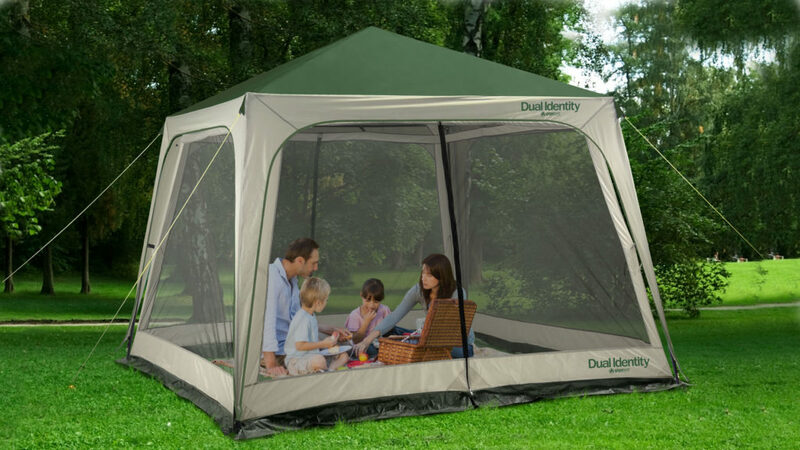 This versatile shelter features a convenient 3-in-1 design and is suitable for a variety of uses. 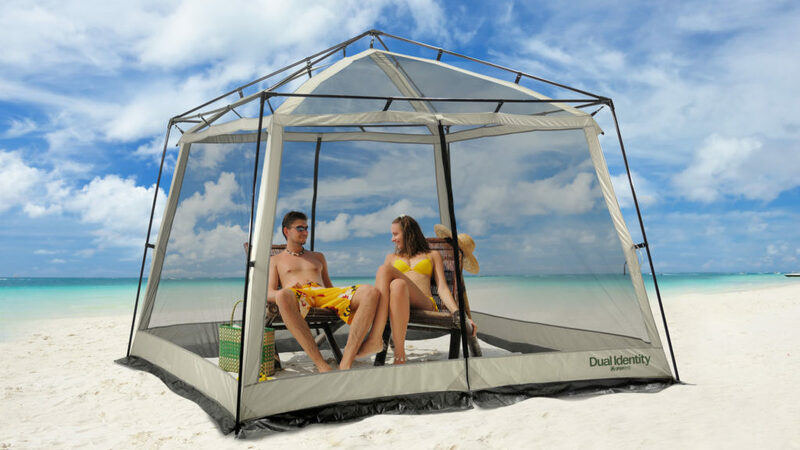 During the day, set up the gazebo to provide shade. 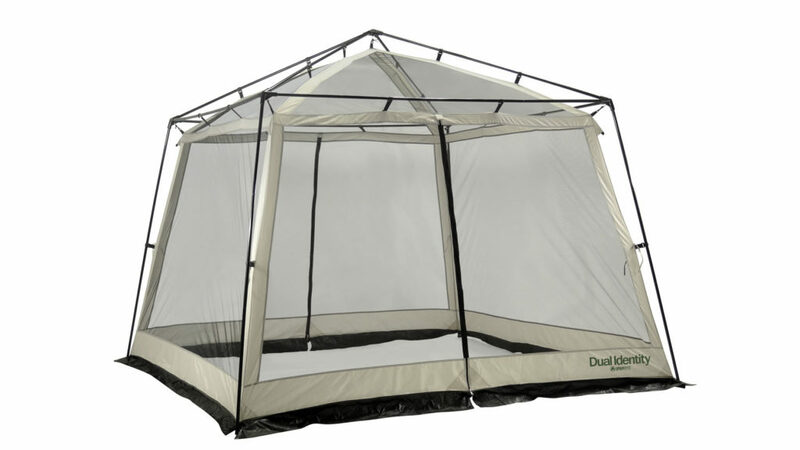 If pesky bugs become a problem, simply attach the polyester mosquito mesh screen to the inside of the frame. When the screen is attached, you can still enjoy 360-degree views. Equipped with two large doors, entry is easy. 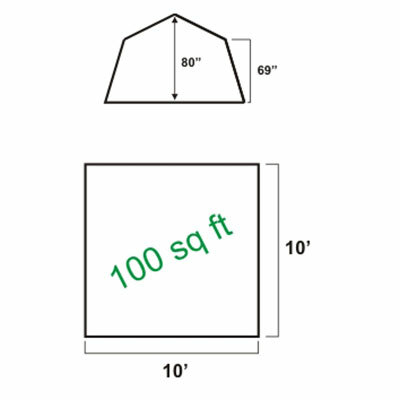 With 100 square feet of covered space, there is plenty of room for chairs and picnic tables under the canopy shelter. 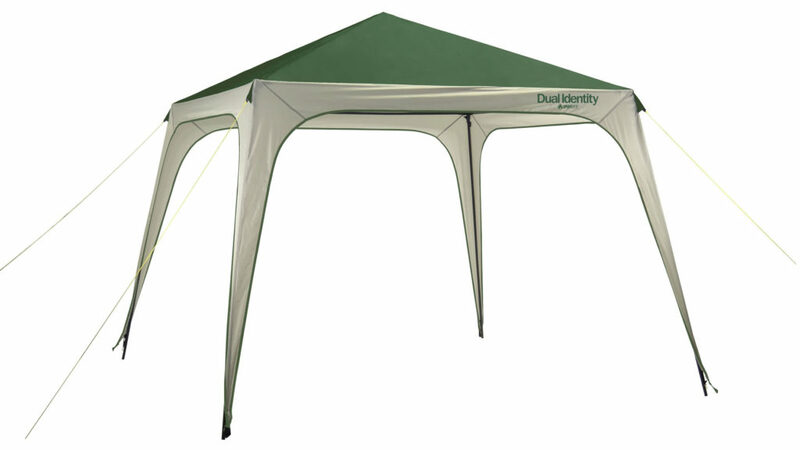 Constructed from a cable-coded steel frame and a polyester taffeta coated roof, it is durable and made to last. 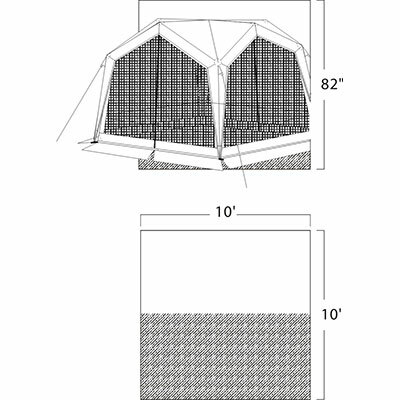 Included is a large carrying bag that makes transportation and storage simple. 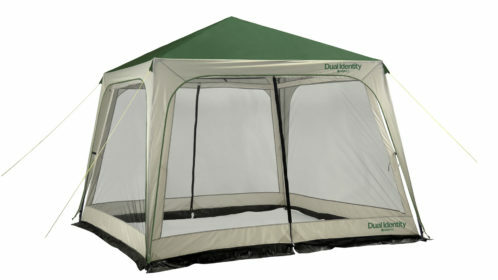 It also comes with stakes and guy lines that allow you to use this camping shelter even during windy conditions.